Dr. Kristine Isip-Torres was born in the Philippines and is the youngest of six children. She attended De La Salle University in the Philippines where she graduated with a Bachelor of Science in Biology in 1999. 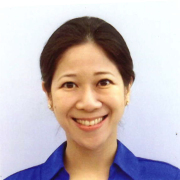 She earned her medical degree at University of Santo Tomas in the Philippines in 2004. She moved to the U.S. for her residency training at the University of Illinois Medical Center in Chicago. After residency, she worked in Yuma, Arizona for three years before moving to Phoenix with her family. Dr. Isip-Torres will be joining the DVP team in February 2017. Dr. Isip-Torres is married and has one daughter.